Home › Utility / Support Vessel › Shoalbuster › Shoalbuster 2308 › Shoalbuster 2308 "Graham Robertson"
The Bristol Port Company has taken delivery of a Damen Shoalbuster 2308S. Modified with several customized options, the vessel will be able to take on a multifunctional role that includes plough dredging, towing, pilotage and survey duties. During the handover ceremony on 17 March 2017, the vessel was officially named Graham Robertson. 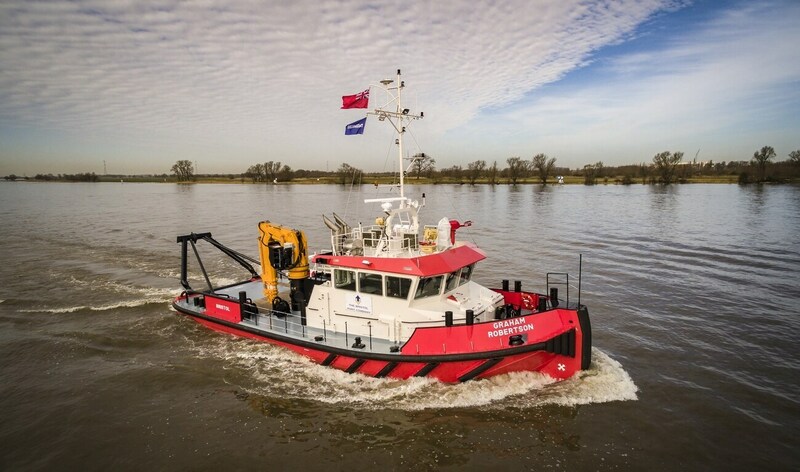 Damen Shipyards Hardinxveld delivered the vessel just 15 weeks after contract signing.